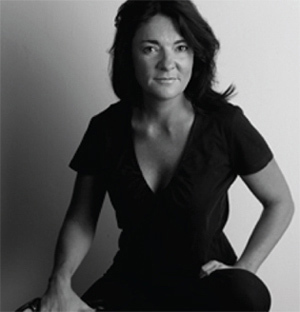 Victoria Maddocks is a multi-disciplinary designer, creative thinker and brand builder. She has a track record in driving innovation and delivering emotional, relevant branding across digital and social media platforms, advertising, packaging, merchandising and store design. She has global experience working in US, Asia, Europe and regions within Latin America. Victoria is currently the Vice President, Global Creative Director of Philosophy, where she is charged with modernizing the brand across all touch points and channels globally, including creating a new retail concept, a new website, a new approach to advertising and social media content/videos and packaging. Prior to Philosophy, she was Vice President, Global Creative Director of Kiehl’s, where she took the brand from one store in the U.S. to over 300 brand-owned stores in 35 countries around the world and helped position Kiehl’s for future global growth. During her eight year tenure, sales grew at double digit rates. Victoria also has extensive experience in publishing, advertising, design and retail for companies including Gucci, The Estée Lauder Companies (Lab Series), Laura Mercier, Victoria’s Secret Beauty, Everlane, Saatchi & Saatchi and The Arnell Group. Victoria brings a vibrant energy and inspirational leadership to the work place. She can translate creative vision into a variety of mediums, be it a physical space, printed page or online. She understands the power of great design and how to turn it into sales and profit. In addition to her creative mind, Victoria has a business acumen and an entrepreneurial vigor that allows her to deliver on a strategic and seamless brand message. Victoria holds a BA in graphic design; she is British born with American citizenship. She speaks French and is well traveled.